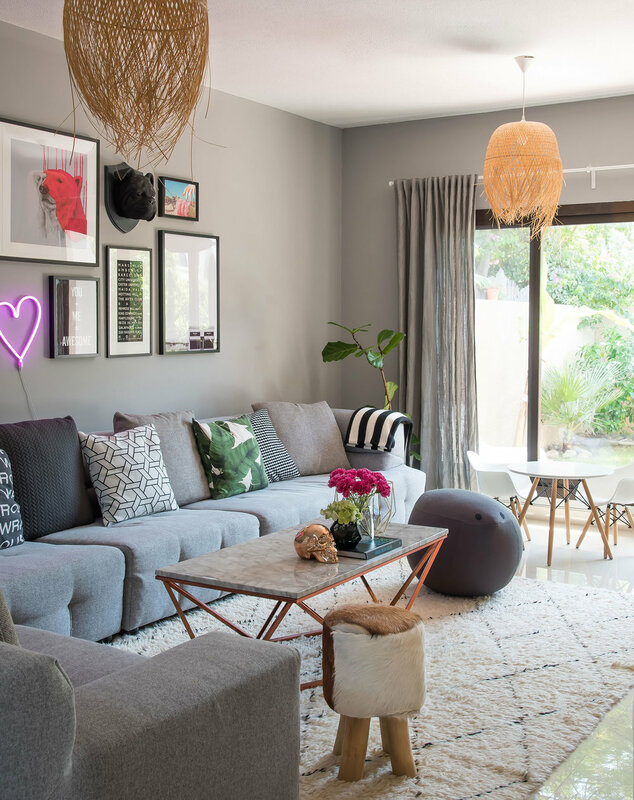 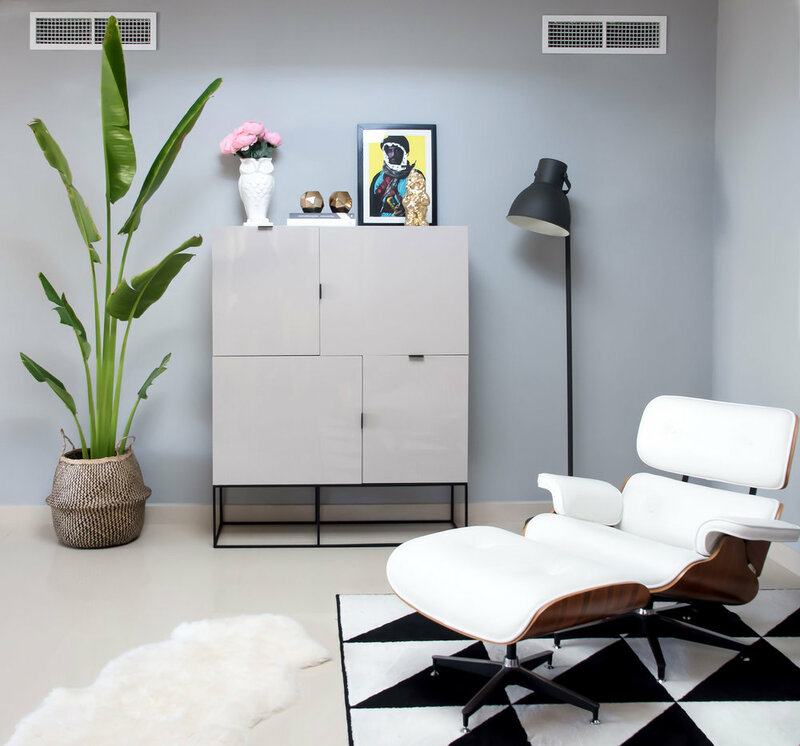 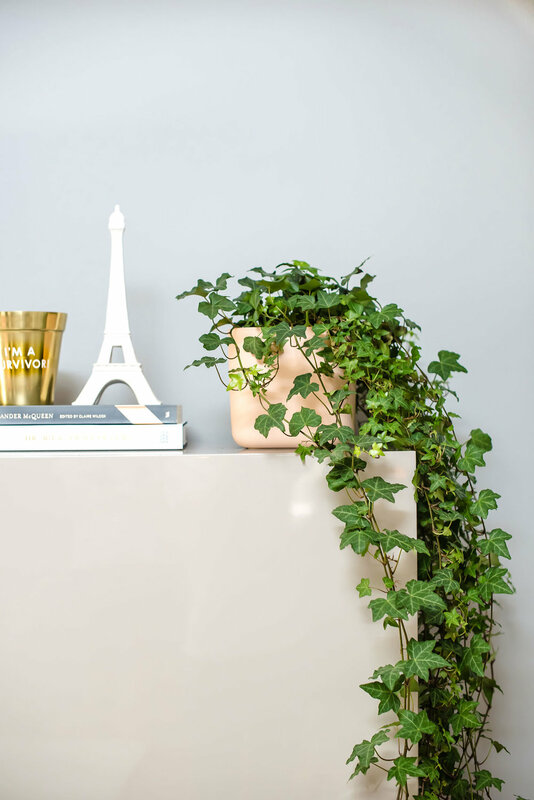 I wanted to create the perfectly imperfect gallery wall and give your living a little bit of vavavoom, using quircky artwork to add personality to our space in Dubai. 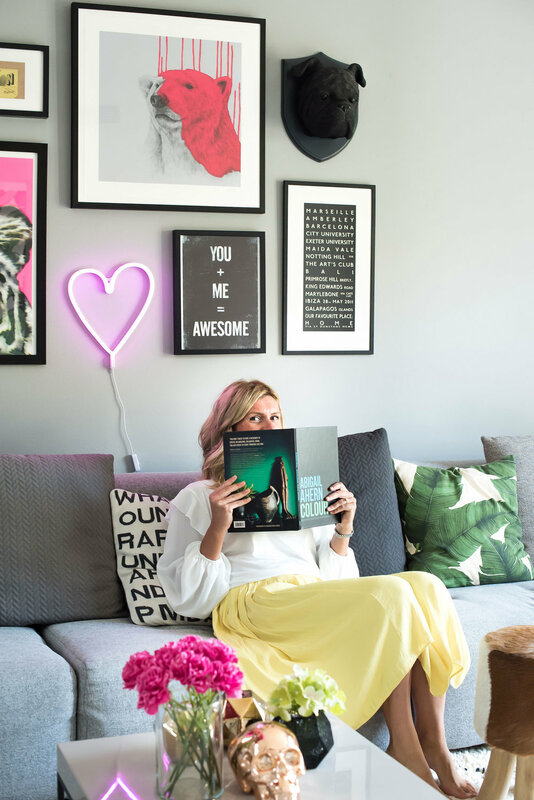 The lounge was given the Stella + the Stars treatment on a really low budget using bargains from high street stores mixed with a handful of designer pieces. 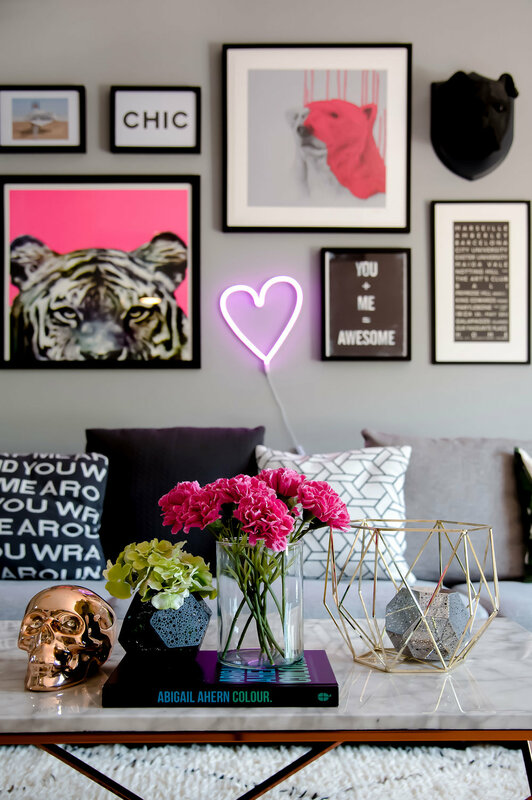 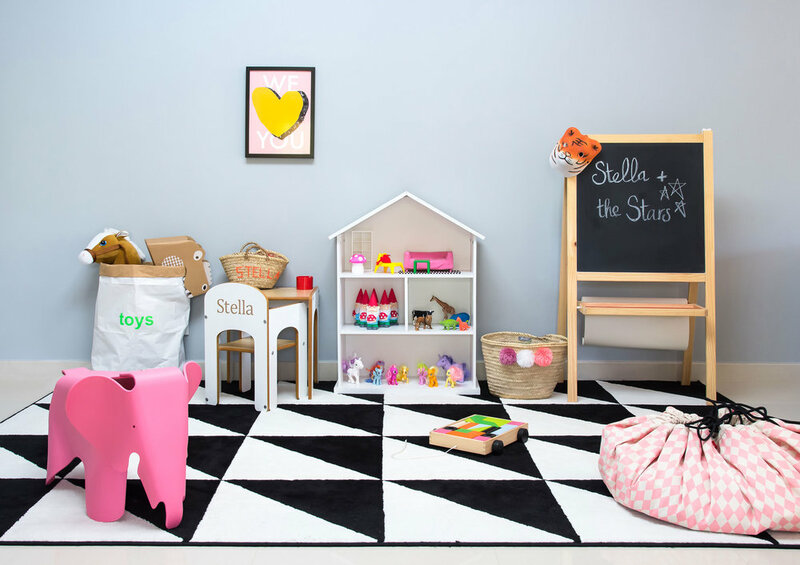 For more on how to create a statement on your walls, check out the blog post.